Originally published by the (then) Commission for Pastoral Renewal and Adult Faith Development in October 2007, Parish Pastoral Councils, a Framework for Developing Diocesan Norms and Parish Guidelines was welcomed widely. With our rapidly changing context and the reality that practice continually generates further learning, a growing interest was shown in a revised version. 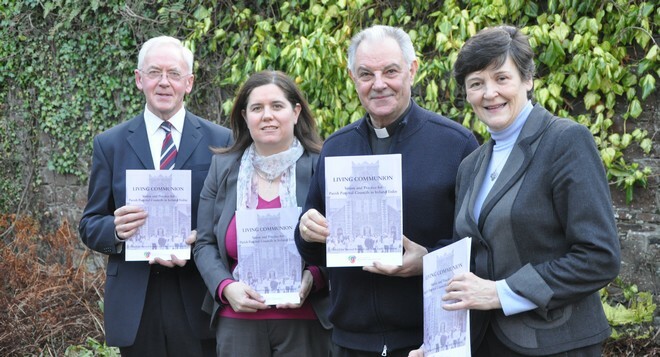 To ensure that the document continues to be a resource which offers encouragement and guidance to all those concerned with the development and sustainability of parish pastoral councils, a task group was set up by the Council for Pastoral Renewal and Adult Faith Development in the summer of 2010. The task group sought as many impressions and responses as possible from the diocesan personnel and focus groups including representatives from parish pastoral councils both north and south of the country. All those who participated believed that the original publication was a significant document and an important reference book for supporting parish pastoral councils given that it was grown from within the Irish context and had the authority of the Bishops’ Conference. Since the launch of Share the Good News, National Directory for Catechesis in Ireland, many of the participants were also keen to see prayers, reflections, group discussion topics, and ‘to do’ boxes (used in the Directory) mirrored in the revised parish pastoral council document. The revised document, Living Communion: Vision and Practice for Parish Pastoral Councils in Ireland Today, will, with God’s grace, also lead to continued exchanges and conversations as we journey, learning together, into the future. This project has certainly revealed the number of committed and faithful members of our Church who are willing and ever-ready to be invited and included in conversations, tasks and projects responding authentically to the expressed need for renewal.